The 2017 Suzuki KingQuad 400FSi features a five-speed manual-shift transmission and semi-automatic clutch for those who favor a bit sportier performance. 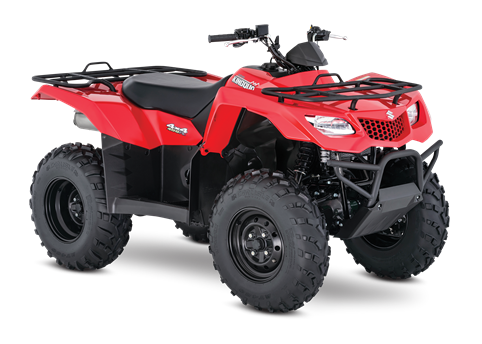 It cranks out an impressive amount of torque and has an incredibly wide powerband for exceptional performance on the trail or on the job. A high-performance iridium spark plug and refined Pulsed-secondary AIR-injection (PAIR) system help provide outstanding fuel efficiency, clean emissions, and great performance.